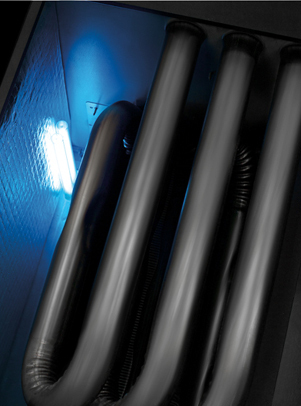 The 9700 Series Furnace features a two-stage gas valve and a variable-speed energy efficient ECM blower motor. 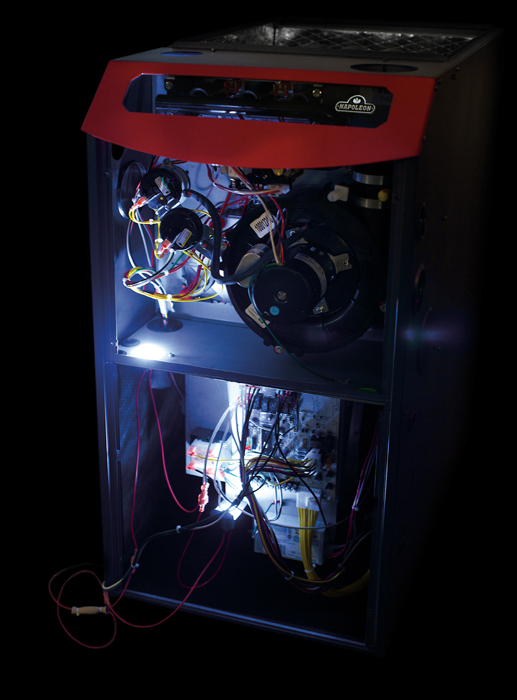 Napoleon’s two-stage furnace reduces temperature swings within your home, maintaining a more consistent, comfortable temperature. At up to 97.1% AFUE, the 9700 series furnaces will operate on low fire for greater efficiency and comfort for most of the heating season. On colder days, when the first stage cannot satisfy the heating demand, the furnace will (automatically) switch to the second stage, producing more heat to satisfy demand. Ultimately this balancing of the heat production results in quieter operation cycles and less energy being consumed throughout the heating season. An added benefit is increased comfort due to better balanced temperatures in the home.